Bed supplier dreams has given some advice on the best bed for you. The best bed for you all depends on what you want and need from the place where you go to relax at the end of a long, busy day. Taking into consideration things like support, size and the space you have in your bedroom can all make a difference to your choice, so think about these things when buying that new bed. There’s not much point putting an antique Louis the Fourteenth full size four poster in your studio flat. Sure, you may feel like royalty when you lay your head down, but how are you going to work around it when you’re not asleep? Do you really want to climb over it? A sofa bed would suit your needs much better and there are some great quality ones available that will be just as comfortable, and have the added bonus of being easy to pack away and use as a sitting area during the day. If you have space to spare, the wide range of king and queen sized beds will ensure you have a comfortable night whether you like to sleep curled like a cat or spread out like a starfish. If that’s not your style, then it’s not a problem; single beds are a great way to save space if you have a smaller room, but don’t forget the useful under bed storage drawers that divan styles offer. A good way to vary this is to get a frame that appeals to you – choose from wooden, metal, leather and all sorts of other materials – and invest in some separate storage drawers that will accomplish the same space saving storage without the solid base. Many people think that furnishing a bedroom is easy, but it is worth giving it some thought as it is easy to make mistakes when picking furniture. The main piece of furniture in the room will be the bed. It is best to choose this first and decide where it will go as all of the other furniture will need to fit around it. Consider whether you will want bedside tables each side or one side of the bed and if so, whether they will fit with the current position of the bed. Consider whether you want a table by the bed, a small set of drawers or a cabinet. The decision will be partly to do with which furniture you like the look of but also how you will use it. If you just want somewhere to stand an alarm clock, then a table will do, if you want lots of storage then a small set if drawers or a cabinet may be better. Storage is a very important consideration. You need to think about how many clothes you have and the best way to store them. You may find that you need to hang a lot of things and therefore will need a wardrobe. You may feel that things are better folded and so drawers might suit you better. Also consider the space you have as large dark wardrobes can overpower a small room and small pieces of furniture can look silly in a large room. You will also need to consider the style, size and colour and what will fit in together the best. For ideas on chests of drawers click here. Considering your movements around a bedroom is important too. You need space to change your clothes and to so anything else you may want to do in your bedroom. Some people like to have a desk so that they can write letters, others like a television or radio. Some like a comfortable chair so they can relax. These may depend on space as many modern bedrooms are too small for lots of furniture but they will also depend on what you will be using the room for as well as sleeping. Careful planning can make a big difference to how comfortable and useful the room is, so it is worth spending the time before you buy furniture to consider this. Today, single beds are becoming more popular for a variety of reasons. Of course, they still are the number one size bed used in children’s rooms. However, single beds are becoming more popular as bedding options for adults. Some are used for spare bedrooms and some are being purchased by married couples who need their own space to obtain a good night of sleep. There are three sizes of single beds. One of these would be a single bed that is just the right size for a child, measuring 80 cm by 190 cm. A bit larger would be the UK single bed size of 90 cm by 190 cm. The largest size of single bed is the European single which measures 90 cm by 200 cm. the additional length is helpful for taller adults. All three of these single beds sizes can be found online. You just need to choose the size that will work best for your purposes. Your single bed will need some kind of frame. The material used to make these bed frames includes metal and wood. Typically, the slats used to seat the mattress in the frame are made of wood. The colours of the wood and metals used in making these bed frames varies so it makes it easier to select the one just right for your bedroom. The bed frame you select for your single bed can also vary by design. There are two main designs which include traditional and modern. Typically, however, the more modern metal beds can be a bit more flimsy. Given their trendy look, they aren’t made to last a long time. Also, some of these beds will include storage within the bed frame. Typically this storage can be found under the bed but also sometimes at the head or foot of the bed. Other single beds are styled to appear to look more like a sofa than a bed. These are great when you bed needs to be multipurpose and serve in dual capacities. All you need to do is determine what exactly you need in a single bed to find one that works for your space. It can be tricky to know where to start with a small bedroom, but there’s no need to worry. With a little bit of know-how and a few simple tips it’s possible to make even the smallest of bedrooms into a cosy little haven with storage for all your needs. One of the first rules of decorating a small space is ‘keep it light’. A light colour will help to create an illusion of space, so keep vibrant colours well away from your small bedroom and choose something pale. Don’t make the mistake of thinking that the room has to be painted throughout in white, as too much white can create an Arctic feel, which certainly won’t seem cosy! Off-white with a hint of a pastel shade will add a little colour to the space without swamping it. Keep the light theme with pale-coloured wood furniture, preferably keeping bed, shelves, cupboards and wardrobes to a matching theme as this will improve the streamlined feel of the room, helping to maximise the area. Alternatively a mirrored finish to furniture will amplify the light in the room to create the illusion of extra space. A dark or heavily patterned carpet will make the room seem smaller, so choose a floor covering in a beige or neutral shade. If you feel that the overall effect is too plain you can soon add accessories such as a cushion, picture and lamp in a more vibrant shade to add accents of colour. It’s vitally important to remove any traces of clutter in a small bedroom as it will instantly make the room seem untidy. Clean, clear surfaces give the feeling of there being more space than there actually is, so hide everything away. If everything has a designated space there will never be any need for untidiness in the future, so be sure to plan storage according to your needs. For a small room that only serves occasionally as a bedroom, a sofa bed, camp bed or futon may be appropriate, whereas a bedroom in daily use will benefit from a bed with built-in storage. Nowadays there is a huge choice of bed from divan beds with storage in the base to beds with a guest bed stored under the frame for occasional visitors. A cabin bed can be the ideal solution for a child as it incorporates anything from shelves and cupboards to a wardrobe and even extra seating under the sleeping area. Invest in hanging storage baskets to maximise wardrobe space and make full use of available wall space by fixing shelves to store books and using co-ordinated baskets to store similar items together. There are plenty of ready-made and home-assembly options for storage to suit the standard rectangular small room, but if your small bedroom space is constrained by sloping ceilings, or is an unusual shape it may be worth considering bespoke storage which can be built to fit a specific area whilst catering for your exact storage needs. Guest post by Tony, a UK blogger on behalf of Archers sleep centre. Choosing the right furniture for one’s bedroom could arguably be the most important part of decorating a new house. If at least a third of one’s life is not spent in the bedroom, one should consider getting more sleep. It makes sense that one would want to put a decent amount of time, thought, and effort into decorating a place where they will be spending so much time. 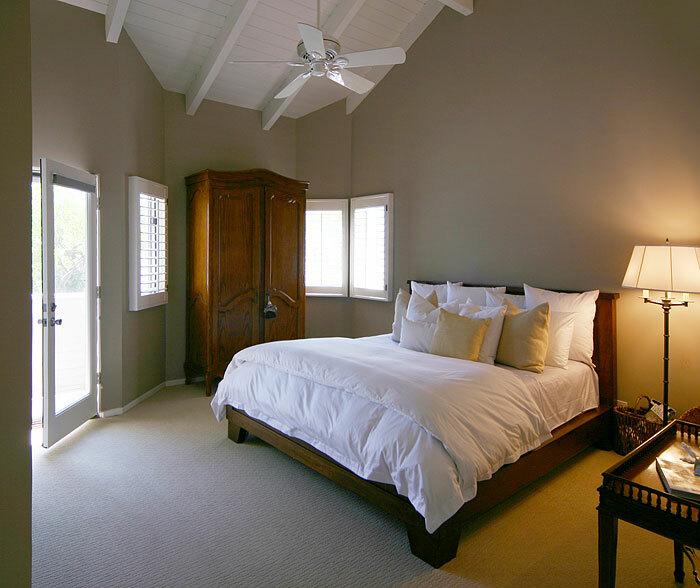 Here are a few tips to help make that bedroom look special. Because this is a bedroom, comfort comes first. Depending on the situation, this may be the only room in the house where painting with sweeping strokes of comfort is allowed so take advantage. King size beds are great options but it’s important that the bed fits the person and that their feet won’t get cold when they step out of it in the morning. Other rooms may be all about the look but this one is about getting a good night’s rest. The bedroom is a very intimate place in our lives and it’s important that we make it look intimate. This can be a lighting issue and one important finishing touch that more and more are adding to their bedrooms is a dimmer switch. The dimmer switch is one of the smallest and most essential items of furniture in the bedroom, yet it is often overlooked. Because of the wide variety of moods that bedrooms must accommodate, from Good Morning Sunshine to Love Me Tender to Now I Lay Me Down and everything in between, versatile lighting is a must. But intimacy can also be transmitted in other ways such as putting the right amount of furniture in the room. Too little furniture communicates remoteness and indifference. But too much furniture only communicates Grand Central Station where it’s difficult to communicate at all. Take into account the size of the room, how much bed is needed to sleep in, and how much walking space will be appropriate, and decorate accordingly. Because going to bed at night and waking up in the morning will probably be two of the most important tasks one will be looking to accomplish in the bedroom, one should decide which of those they anticipate to be the hardest, then pick a colour scheme to cheer them on in that task. For instance, morning people, those that just can’t wait to leap out of bed in the mornings, probably don’t need cheery golden yellows to help them get into the mood every morning. They may want to focus on soft blues and deeper hues to help them nod off at the right time every night instead. The reverse may be true if one finds it easy to get to sleep and death to wake up the next day. It’s not anti-capitalist to want one’s furniture to last, it’s simply good sense. Furniture is something that one shouldn’t have to be changing all the time unless one is a millionaire. Instead, it’s important to buy quality furniture that will mellow and become part of one’s life. Quality furniture may be more expensive but that’s because it’s worth it. If one is on a budget, one may have to stick to decorating one room at a time or every room only sparsely at first, but that’s better than decking out the house wall to wall in items made from sawdust. This last tip is only for experts but those who are adventurous out there may also want to try it. Pick a theme to decorate the bedroom around. It can be as simple as ‘cheery,’ as complex as ‘early 19th century Victorian era,’ or as focused as ‘underwater.’ A theme will help to focus one’s thoughts and will narrow down the choices as one searches for exactly the right bedroom furniture. One may even decide to invest in a wallpaper to match! How many times have you found yourself waiting up that extra half hour until your favourite film finishes, or waiting up for your favourite sporting extravaganza that’s being hosted in the US? Of course you have, we all have. The catch is that you’ll fall asleep on the sofa and wake up with aches and pains from head to toe as a result. Enter sofa beds. If you are staying up late then it’s useful to know you can roll out the bed and if you nod off then you still manage to enjoy a good night’s sleep. However, the concept of a sofa bed isn’t just so you can stay up late. Nowadays the use’s are aplenty as they combine as fashionable furniture with a practical secondary use which many households often have a use for. If you have children then you will experience one of many sleepovers and the likes and having the extra sleeping space means that you can easily cater for larger numbers without clogging rooms with beds. Christmas, birthdays and other special occasions bring families together and there are always relatives who spend the week, again you are able to cater for this without having to share your own bed or having people sleep on the floor. If your mind is telling you that a sofa bed is going to be an eyesore, then you truly are well behind the times. Take a look at the sofa beds by fashionforhome.co.uk because they are a classic example of modern style when it comes to home furniture. No more will you have a clunky eyesore in the room, but instead a deceptive piece of art that has more than once use. Adding a sofa bed to the home is a popular decision and you will find that many homes in UK have one. If you are looking to add a little extra sleeping room to a study, conservatory or elsewhere in your home that compliments the decor, then sofa beds are definitely the right choice. When buying furniture for the bedroom, it is easy for the eye to over-rule the head and fall into the style over substance trap. Given the wonderful presentations that furniture companies set up in their stores or even online, attention to the smallest of details should never be overlooked. An example is that an ornate iron bedstead can barely be noticed behind sumptuous, plump pillows and luxurious bedspreads. Is this the desired effect? A double bed with slide out drawers on both sides may be fantastic for storage but does it limit the furniture space now available around it? Many stores will present the whole bedroom styled and complete, rather than just the bed standing alone. With wardrobes, dressers and drawers all arranged in such a delightful setting and the amazing bed positioned in the middle. Why? It all matches perfectly, but how many bedrooms are those exact dimensions and are all those accessories really necessary? Compare the display to your bedroom and remember it is easier to build the dream than it is to re-construct it. Take note of the furniture material as the description of the furniture alone may not be enough to establish how well made it is. Don’t be afraid to touch the display model. Check out the legs, check how convenient the drawer handles are and also make sure it is sturdy and well assembled. 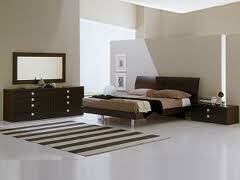 A large amount of modern bedroom furniture is built from laminated wood, veneers or hardwood. Plywood is a type of laminated wood and along with veneer furniture built from this is significantly less expensive than solid wood. Whilst it won’t stand the tests of time like solid wood furniture, it still should last many years and can be a fraction of the price. Spending more money on solid, classic pieces of furniture that can last a lifetime do work out to be more cost effective in the long run, but they may not be as adaptable for room re-designs in the future. If you do choose to buy modern furniture, check the finish of the item. A decent well-made piece of furniture will have been sanded down and sealed before being stained or varnished. The finish is used to improve the quality of the wood, so the exterior should feel soft and smooth to the touch all over, without lumps, bumps or rough areas. It is simple to strip down wooden furniture and add a new shade of varnish, but to start with the work should look like it has come from a craftsman’s hands. 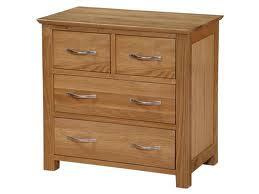 Dressers and drawers should be inspected for sliding mechanisms and hinges. Drawers must slide open and closed smoothly, with mechanisms running on wooden binders as opposed to modern and cheaper designs having plastic rollers. Both are fine, as long as they work properly and feel comfortable to the user. It’s these small details that really will ensure customer satisfaction over time. Check that the sides of the drawers are fitted neatly and securely together. Pay particular attention to the bottom of each drawer; it needs to be strong enough to hold plenty of clothes without caving in! Finally the most important feature: the bed. A bed is only as good as the mattress, so investing in a quality mattress will not only aid a rejuvenating night’s sleep, it will also last several more years. 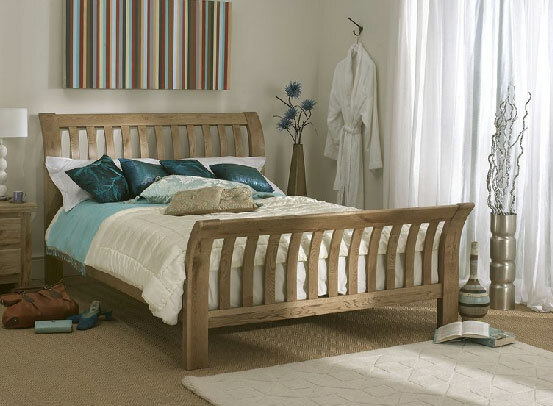 A quality bed frame can be seen in a show room and be given the once over, again checking for sturdiness and strong fittings. Most bed manufacturers will flat pack the bed, so enquire as to how easy it is to construct and whether additional tools are needed. Bedstar have a wide range of designs, from beds that can be put up in minutes to those that are for the more for DIY enthusiasts! Bedstar beds provide a wide range of competitively priced beds, frames and mattresses as well as safety instructions and hygiene recommendations for anti allergy material. No matter the taste in bedroom furniture, the old rule stands that ‘you get what you pay for’. Always ask as many questions as necessary in the store to find out more about the quality and durability of any items you are thinking of buying, to check that it is right for you and your home. 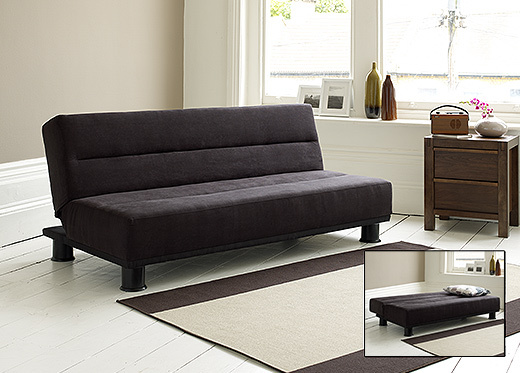 Storage Divan Beds Give You The Extra Space Your Apartment Can’t! Three cheers for small spaces! They are easier to clean, easier to show off, and easier to entertain in when you don’t have to think about where you’re going to put everything. No one wants to come home to a house that’s filled to the gills with stuff, but the truth is that there are some things that are better to keep than to throw away. However, if you’re like most people, living in a small space can really be a challenge! Shouldn’t you make sure that your furniture is up to the task? When it comes to every bedroom in the house, you really need to think about storage divan beds. They come in a wide variety of sizes, so don’t think that you have to just deal with a small child sized bed when you’re actually trying to sleep close to your special someone. The best way to go is to make sure that you measure the space that you have to work with first, and then see what type of bed you can get. You don’t want to just measure the space for the bed itself — you want to make sure that you have appropriate walking space. This will give you the most comfortable experience. From there, you have a wide variety of styles to choose from. You want to make sure that you have enough storage space underneath to keep the things that matter to you. For a child’s room, this will most likely be their toys, but you can also store their clothes there too. This will mean that a set of storage divan beds leads to a better routine than your kids started with — which is definitely a good thing! Storage divan beds are something that most furniture stores offline don’t like to carry as they feel that they aren’t good sellers. However, these beds truly give you the space in your life that your apartment just can’t accommodate for. 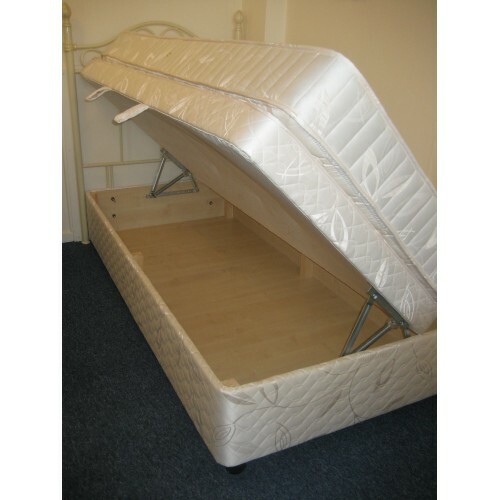 If you really want to save money on a smaller house, storage divan beds are part of the answer. Make sure that you really do take time to go online instead of trying to hit the furniture store. Not only will you get a much better deal going online, you’ll have a lot better selection, too! Overall, now is the perfect time to get started today — what type of divan bed will you choose? There’s only one way to find out, you know!